Presented to remarkable leaders and contributors to the city of New York, the award has been granted every year since 1930 (except during WWII). 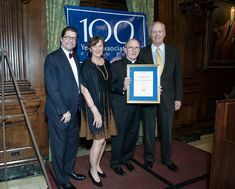 The Hundred Year Association granted the 75th annual award to Mayor Bloomberg in recognition of his philanthropic generosity, his strong sense of civic responsibility, and his considerable accomplishments in public service. Past recipients include civic leaders Robert Moses, E. Virgil Conway and Ray Kelly; Mayors Fiorello LaGuardia, Robert Wagner and Rudy Giuliani; entertainers Oscar Hammerstein, Richard Rodgers and Tony Randall; and three generations of Rockefellers. As the mayor of the City of New York, Mr. Bloomberg has contributed to major initiatives in affordable housing, public health, and education. He also launched a major anti-poverty campaign and developed a groundbreaking long-term plan for a sustainable, environmentally sound New York known as PlaNYC. The comprehensive program aims to ensure a higher quality of life in New York while reducing global warming emissions by 30 percent by the year 2030. Focusing on the five dimensions of the city’s environment – land, air, water, energy and transportation – PlaNYC is also designed to be a model for other cities in the 21st century. A major contributor of his time and financial support, Mr. Bloomberg believes in the power of philanthropy to strengthen communities, change lives, and improve the world. To date, he has donated more than $1.4 billion to a wide variety of causes through Bloomberg Philanthropies. Public health and education are major focuses of his charitable efforts. He is the largest benefactor of Johns Hopkins University, his alma mater, and the university honored his generosity by renaming one of its schools the Bloomberg School of Public Health at Johns Hopkins. 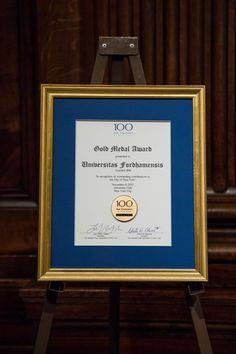 The Hundred Year Association presented the Richard A. Cook Gold Medal to Mayor Bloomberg during its annual gala fundraiser event on November 19, 2008 at historic Capitale, located at 130 Bowery. 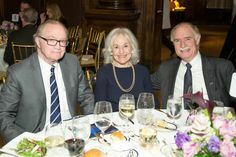 Co-chairs for the event were Robert R. Douglass from Millbank, Tweed, Hadley & McCloy (1866) – a past Gold Medal Awardee from 1999 – Robert P. Kelly of The Bank of New York Mellon (1784) and Terry Lundgren, CEO, Chairman of the Board and President of Macy’s, Inc. (1858). Donations to the dinner go to support the Association and its public service awards and college scholarship programs. For more information about attending future events, please contact the Association or call us at 212.922.0791.